Our firm has led and prepared several Airport Development Plan (ADP) reports, wherein we provide airport owners airport management tools and detailed guidance for airport infrastructure development for typical 10-15 year periods. These reports have mirrored the more commonly known Airport Master Plan reports by providing specific short-, medium-, and long-term recommendations. We make our ADPs as user-friendly and ever-relevant as possible by focusing less on development by year and more on development by demand. Airport Master Plan development is another service we offer, which provides support to leading, nationally recognized firms that concentrate in development and preparation of Master Plans. We also provide design and construction services for airport terminal buildings. We regularly provide our airport clients detailed planning guidance for the development of future infrastructure. 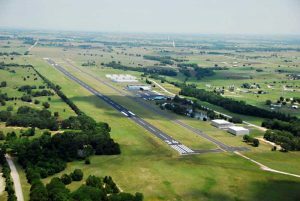 This primarily involves terminal area development and the planning of future hangar infrastructure. Contact us for more information about our Airport Planning Services.